An internship is a period of work experience offered by Emily Griffith to give students exposure to the working environment, often within a specific industry, which relates to their desired field of work. Internships can be as short as a week or as long as 12 months. The Emily Griffith Internship Program can be done in a range of departments within Denver Public Schools and other Partnering organizations. 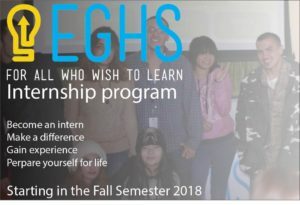 Throughout the internship you will develop a variety of soft skills, including communication skills, personal effectiveness, presentation skills, creative problem solving and influencing skills. Information on how you can be a part of it will be coming soon!